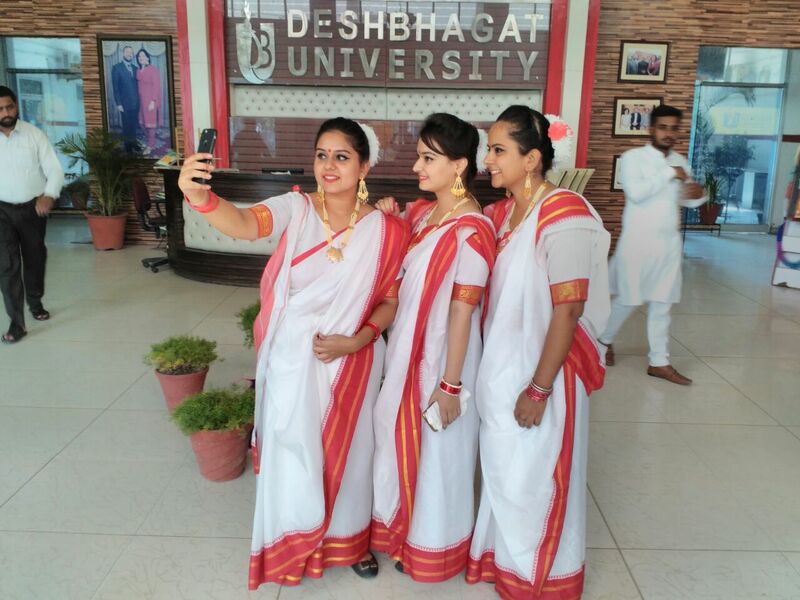 Desh Bhagat University Department of Airlines Tourism and Hospitality Management (ATHM) celebrated World Tourism Day in a special manner. In this two day long programme, students of ATHM classes participated with full enthusiasm. The event was inaugurated by Vice Chancellor Dr. Virinder Singh. As part of this programme, students undertook a drive to create awareness regarding cleanliness, universal brotherhood and maintenance of our historical monuments, which are the main spots of attraction for tourists in India. University Chancellor, Dr. Zora Singh while presiding over the prize distribution function addressed the students and enlightened them about various aspects of Tourism and importance of World Tourism Day. Pro-Chancellor Ms. Tajinder Kaur emphasized that the deep rooted relationship between tourism and our cultural assets should be fully recognized and highlighted. Both of them appreciated the performances of the students and the arrangements done by the faculty members. They also gave awards the students who performed exceptionally well. Director Faculty of Hotel Management and Tourism Amit Sachdeva hoped that these students will do their best to promote tourism in India. All the students who were in a jolly mood said that with this programe, they have got a chance to know about so many new things and gained a lot of fresh knowledge.